So you never would have guessed, but not long ago–close to the end of the summer in August–a new club opened up targeting none other than holders of The Black Card. The fact that AMEX is targetting club-goers might come as no surprise to you, but what about the fact that The Black Card Ultralounge opened up in none other than Scottsdale, AZ? I have got to be honest: I don’t know all that much about Scottsdale, or AZ, other than the fact that there are lots of canyons, cliffs and hippies existing in Arizona. However, when the glitzy and aesthetic club opened its doors on Saturday, August 16, 2008, the owners of the establishment were definitely aiming for older and more upscale visitors. The club’s owner, Ed Pope, has a Centurion of his own, of course. When asked about the concept of the club, Pope said, “We were just looking at it and we realized what the card stands for is what we want this club to be about.” The club has a maximum occupancy of 615 and is in an affluent neighborhood, in close proximity to other upscale businesses. The club has been remodeled to a modern but dark sketchbook theme. The DJs at the club play everything from hip-hop to top-40 to mash-ups and house. Of course the upscale club has an upscale dress-code; however, exceptions are made so long as the untraditional dress-code clothing such as t-shirts and sneakers are with proper labels: Ed Hardy, Diesel, Louis Vuitton, Moschino, and so on. If it’s made by an expensive enough designer then it will probably be acceptable. However, this must mean that the club’s bouncers are aware of the latest fashions and have the ability to distinguish real designer labels from knock-offs. One would hope, anyway. Last, the VIP section of the club is blocked off with a wrought-iron railing, and of course a Black AMEX must be presented in order to gain entry past the rail. 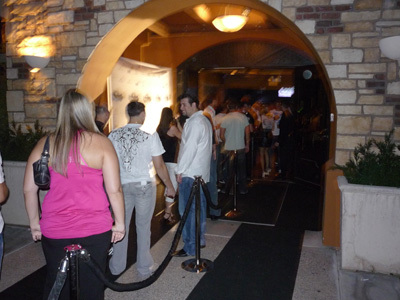 However, due to the small portion of people actually in possession of Black Cards in Scottsdale, AZ, the club allows members to purchase a $1,000 membership to the VIP section. With the membership comes a black metal card with a serial number on it, embossed with a crown, stars and Gothic script, which comes in a black faux-leather wallet. Pope has already made a name for himself in the California bar scene and has plans to open up eight other clubs in the Valley, with hopes of taking the Centurion card concept to New York, MIami, Dallas, Los Angeles and San Diego. So you never would have guessed, but not long ago–close to the end of the summer in August–a new club opened up targeting none other than holders of The Black Card. The appeal of the black card brand is no surprise for targeting club-goers might come as no surprise to you, but what about the fact that The Black Card Ultralounge opened up in none other than Scottsdale, AZ? 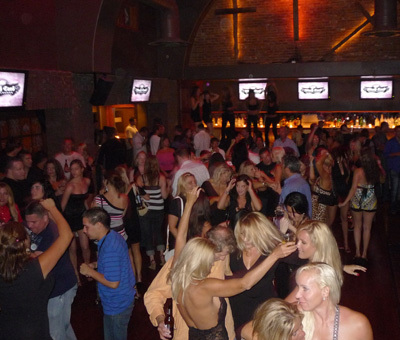 The venue space was previously known as “Taste Ultra Lounge,” before it was bought out by Las Vegas Entertainment Group (LVEG). Typically, LVEG buys out struggling bars and clubs, so ironically enough they’ve taken a club space and picked it up from rags to riches.